Qualification for Brazil 2014 got underway last night. 9 teams with 4.5 qualifying. No Brazil in the league gives a great chance to the likes of Peru to push on from their excellent Copa. Sabella got off to a great start with a 4-1 home win over Chile. Captain Messi got on the score sheet as well as another hat trick for Gonzalo Higuain. Neymar scored the only goal in a 1-0 friendly win against Costa Rica. Gruelling 16 game qualifying campaign, very hard to call who'll go through besides Argies and Urugauy. I think Chile might struggle. Loads of points will be dropped away from home on poor pitches with hostile atmospheres up in the clouds. Repeat of the Copa final on the 11th. Saw the Argentina game. They weren't overly convincing. Decent performance but nothing special, scoreline was a little flattering. I can still see them struggling to break down teams that sit back against them. One massive positive was the relationship between the 2 Real lads and Messi in attack. Also a lad called Brana(Estudientes) who is apparently a favourite of Sabella played pretty well in the holding midfield role. Still difficult to see where they are going and what way they'll play. No Aguero, Lavezzi, Pastore, Masch in that team last night. Good result to start but Batista won his first game in charge 4-1 against Spain and that didn't end well. Bebeto's son Matheus trained with the Flamengo seniors this weekend. 7,000 police at the Peru-Paraguay match because of the murder during the Universitario-Alianza Lima game last week. Fla-Flu derby ended 3-2 to Flamengo tonight. Gives them a chance of the title still, looks like it has fallen away from Fluminese though. Vasco de Gama who are top for the next 45 minutes lost 3-0. Corinthians will be a point ahead when their game finishes. 3-0 up at HT. Santos way down in mid table because they already have a place in next seasons Copa Libertadores as reigning champions. Boca on course for the Apuerta title. River Plate second in the 'B'. 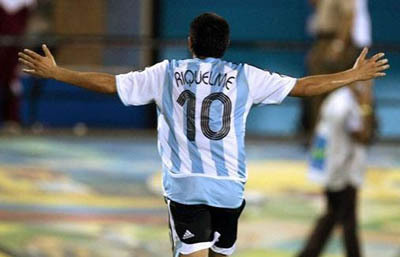 Argentina lost 1-0 to Venezuela last night. I knew there was a reason not to be convinced by Sabella's first game. Chile won 4-2 against Peru the usual all attack no defence by the looks of it. Forlan scored a last minute equaliser in the Copa final repeat. Falcao came off the bench to score the winner for Colombia in Bolivia. Ronaldinho scored a beauty in Brazil's 2-1 win against Mexico. Dani Alves got sent off in the first half. Marcelo's goal was a peach as well. And what is the reason not to be convinced?.. ..
Brazil 2014 group games will be played at kick off times of 5pm, 8pm, 11pm and 2am. British Summer Time. Latest knock out game kick off will be 9pm. I went through my 2am training during last summers Copa. I didn't go in any kick off yet.. hopefully this time I can..
Kaka back in the Brazil squad for the first time since WC 2010. Beautiful footballer..
Neto (Fiorentina), Diego Alves (Valencia); Daniel Alves (Barcelona), Fabio (Manchester United), Adriano (Barcelona), Alex Sandro (Porto), Marcelo (Real Madrid), Thiago Silva (AC Milan), David Luiz (Chelsea), Luisao (Benfica); Lucas Leiva (Liverpool), Elias (Sporting Lisbon), Sandro (Tottenham), Luiz Gustavo (Bayern Munich), Hernanes (Lazio), Bruno Cesar (Benfica), Fernandinho (Shakhtar Donetsk), Kaka (Real Madrid), Dudu (Dynamo Kiev), William (Shakhtar Donetsk); Kleber (Porto), Jonas (Valencia), Hulk (Porto). Yea, he's been a disappointment mainly due to some horrific injuries. Playing his best football since he joined Madrid at the moment though. Hope he can remain fit now. kaka is rank 4 in the soccernet for the 2010 world cup.. he must really be a godd palyer to earn this reputation..
Neymar still having a say in the title race. Scored in Santos' win against Vasco who were top. That's his 7th goal in 4 games. 5 games to play and the table looks like this. Has the potential to be the greatest end to any season ever. Santos v Sao Paulo just another little extra on the last day. 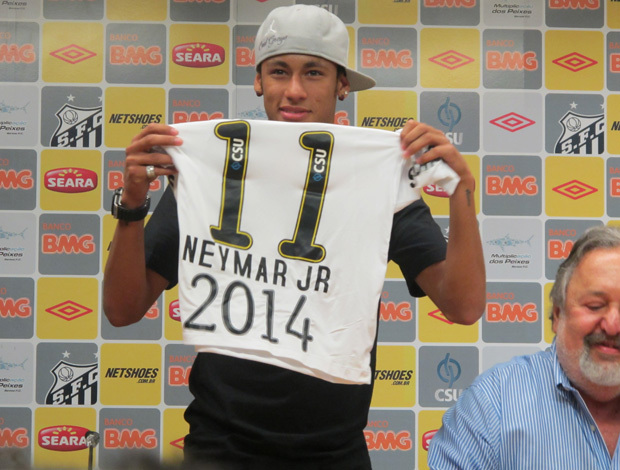 Neymar signs contract until 2014. Hopefully he stays another couple of years at least. I think it would help him going over to Europe when he's slightly more mature. Someone will have to throw Santos a fook load of money to get him this summer.